Thousands of Google employees walked out and took to streets saying that they are supporting those who have been harassed in any workplace situation. 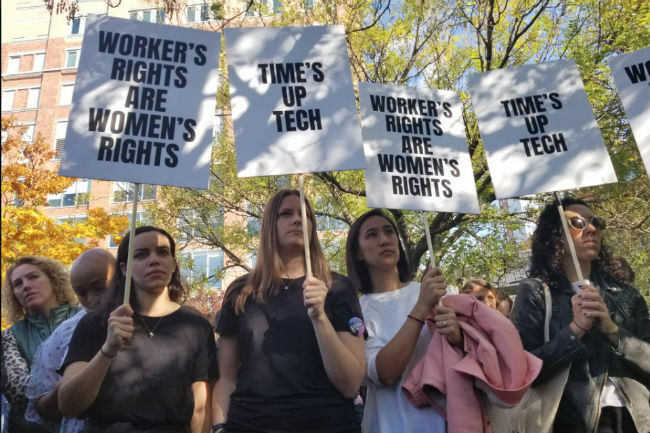 Thousands of Google employees from the company’s offices situated at different locations across the globe have staged a walkout protesting against the alleged mishandling of the sexual harassment cases in which some company executives have reportedly been involved in. The incident follows a recent New York Times report in which it was claimed that the internet giant paid former company executive and the “father of Android”, Andy Rubin, a severance of $90 million when he left the company in 2014 after proven allegations of sexual misconduct. 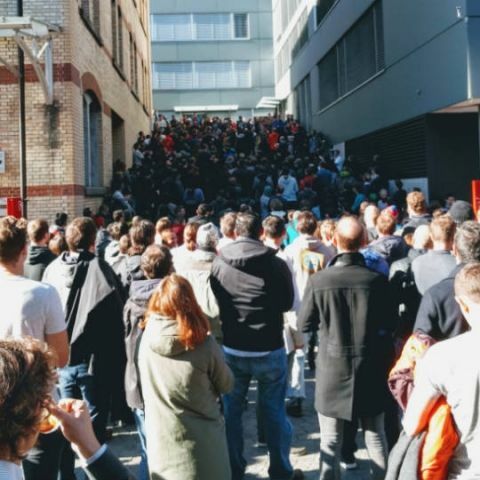 Following this whole incident, employees from Google’s Singapore office staged a walkout first and the wave followed to other offices in Tokyo in Japan, Haifa in Israel, Zurich in Switzerland, Berlin in Germany, London in the UK and Dublin in Ireland. Citing the organisers of the protests, The Guardian reported that the high-profile cases are just a few examples of “thousands” of similar cases across the company. According to CNN Business, more than 1,000 people walked out of Google's corporate headquarters in Mountain View, California. “It's just unfair that the women who are being attacked have to speak to the people above them in order to get change to happen. Because sometimes their abusers are the ones above them and in charge of promoting them or in charge of their jobs. It's a lose-lose situation,” Taylor Reifurth, a freelance editor at Google, was quoted as saying. This is not the first time that Google has been in the news for wrong reasons. Last year during the similar time, Google employee James Damore wrote an anti-diversity memo in which he claimed that “the representation gap between men and women in software engineering persists because of biological differences between the two sexes”. Pichai later condemned the controversial memo that argued that women are not "biologically fit" for tech roles. Pichai said parts of the 3,300-word 'manifesto' crossed the line by “advancing harmful gender stereotypes” in the workplace.